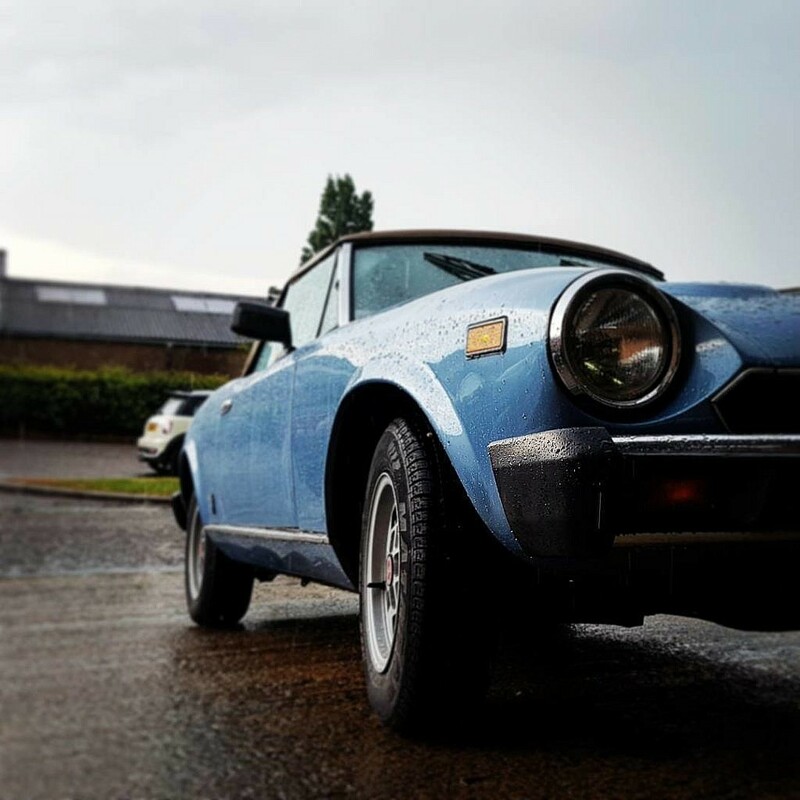 If you’re in the buying/driving/selling classic car market, you’ve no doubt at some point felt like you just missed the rising tides on that special little something you were tracking for years. You stayed out of the market, thinking maybe they still have a few more years of falling to do…only to strike out looking as that market value line climbed out of reach. Well today we bring you a car that maybe, just maybe, you can get out in front of if you’re ready to buy. 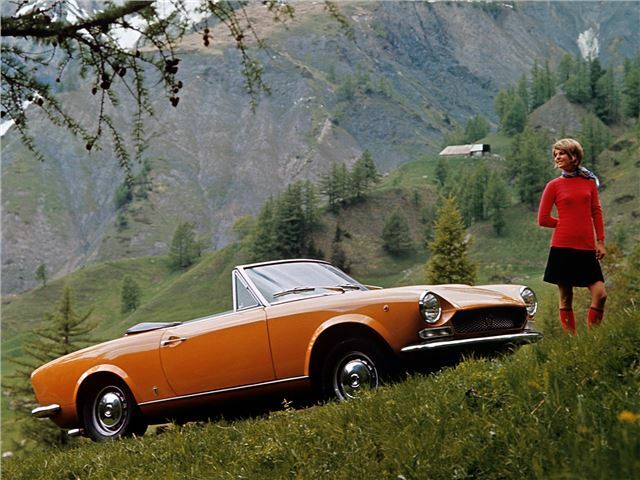 Italian coach maker Pininfarina designed and built the Fiat 124 Sport Spider from 1966 – 1985 (available in the US market only through 1983). Inside the Pininfarina walls though, the lines of the old Italian girl were actually drawn by famous American designer Tom Tjaarda…the same Tom that drew the Chevrolet Corvette Rondine, De Tomaso Pantera, the Ferrari 330GT and 365 California. Not too shabby. Combine that design pedigree with a 5MT, 4-wheel disc brakes, and a twin-cam inline-4 cylinder from the same mind responsible for the Ferrari Monza, and you have the recipe for collectible greatness. If you’ve read other posts here, you know that the US EPA had a way of killing collectible greatness though. 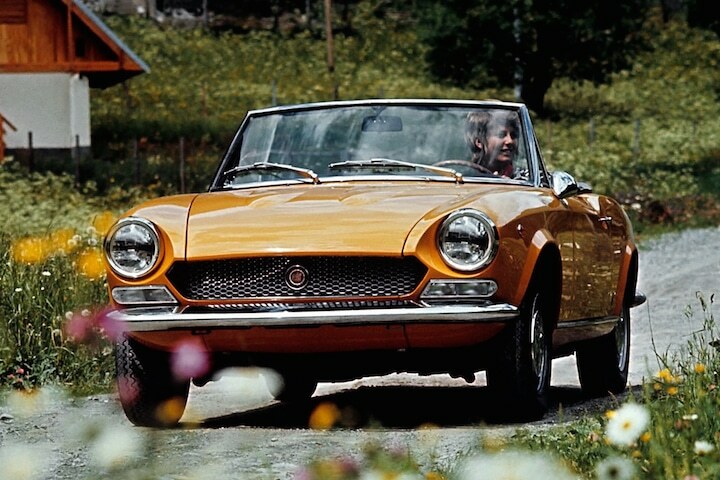 Throughout its tenure, the Fiat would take on emissions restrictions and engine sizes would commensurately grow to counteract the loss of power. In 1979, sales peaked for the 124 and it took on the ‘2000’ moniker. 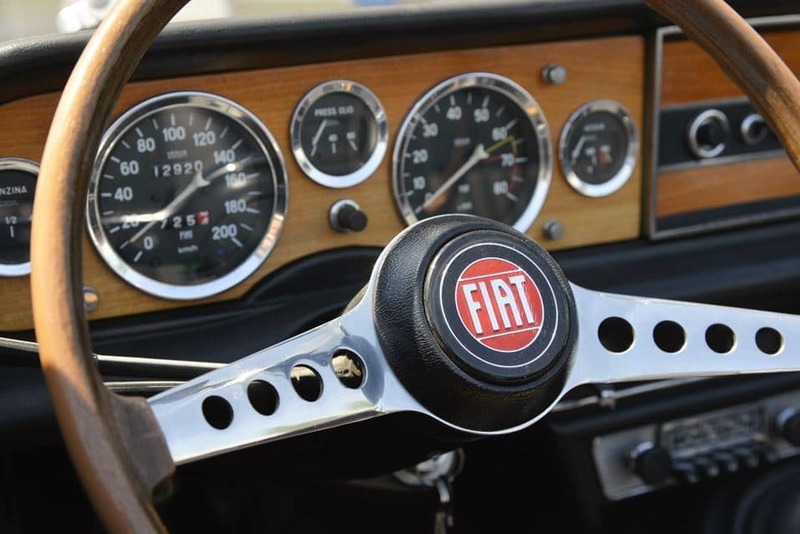 By 1983 Fiat decided to exit the US market as sales continued the downward fall. In all, approximately 170,000 spiders made it to the US. So certainly not rare by any means which have contributed to depressed pricing over the years. But there is a secret one hiding out there…the real hen’s tooth in the 20 year run is a factory tuned turbo version, of which about 700 were made and bring a premium in the market. So how is it as a daily? 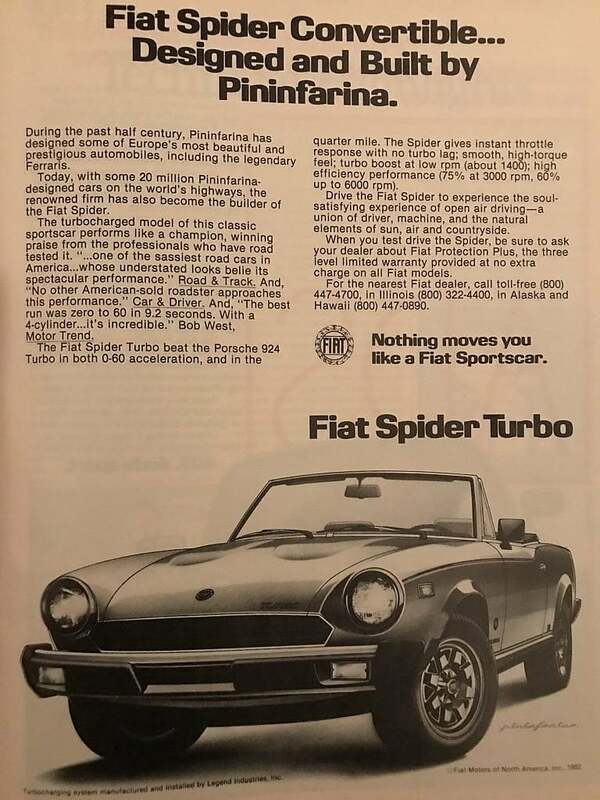 As a 2+2, the spider makes a good choice for anyone looking for that convertible classic roadster to take through the school drop off line. 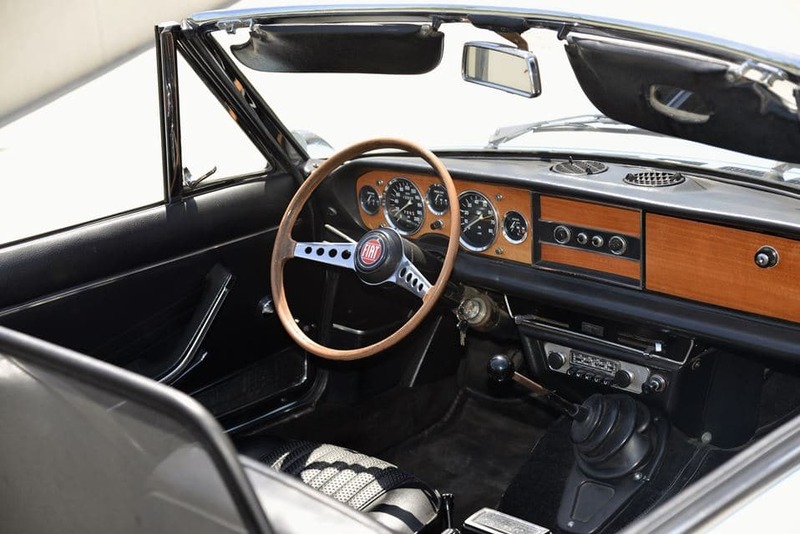 Competitors are obviously the MGB and Alfa, but the spider has a few more modern accoutrements like disc brakes and 5-speed gearing for better higher speed cruising. Fuel injection makes them much more reliable but this was only available in the last few years of the model. A reported 25-30MPG makes it a great garage rotation second daily. 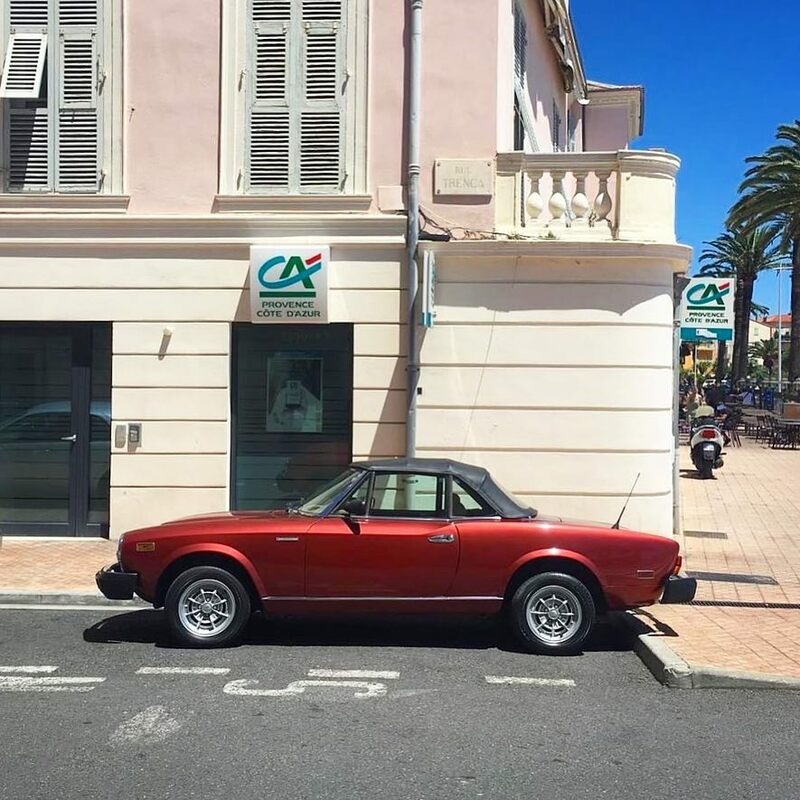 Christobel Kent writes in to tell us about her fifth road trip through Italy in her 1976 Fiat 124…when asked why they do it, she says “we felt the car would like to see where she was born. She certainly loves the open road although this time for the first time we had trouble – the starter motor burned out just above Martigny in Switzerland. We bumpstarted her all the way to the Mediterranean. 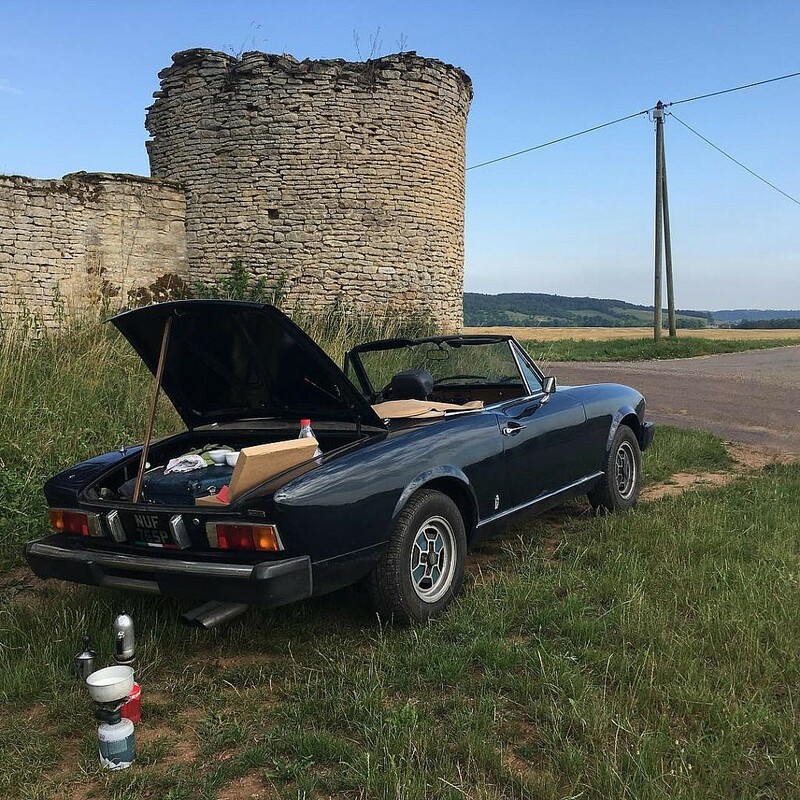 Lovely car drove like a dream and is now in the hands of an elderly Italian mechanic“…should be ready soon for it’s 6th annual tour! What to look for? Against the “Fix It Again Tony” acronym, many owners actually report high reliability with these. Granted, those may be owners who have taken painstaking measures with many preventatives, and/or ensuring internet fodder is kept to a minimum to maximize their resale value. In reality, there’s little to go wrong other than some electrics and rust. So check of course for rust and rot, particularly in the floor pans and bulkhead. Transmissions are a known weak point, so with any MT, check for gear pop outs on acceleration, especially in 2nd and 3rd gears. Ask about any prior overheating issues and when the headgaskets were last done. Check for electrical gremlins, often it’s corroded wires. The ’74 to ’76 models were equipped with a smog pump that was prone to seizing, which could cause the timing belt to skip (which is never a good thing). In April of 2015, Fiat announced a 124 come-back. Even though there has been a slight uptick in the spider market since then, relatively speaking not a lot of people are paying attention to these guys. Strike while the iron is hot so you don’t miss out this time. All other photo credits not mentioned are unknown and are not the rights of Second Daily. 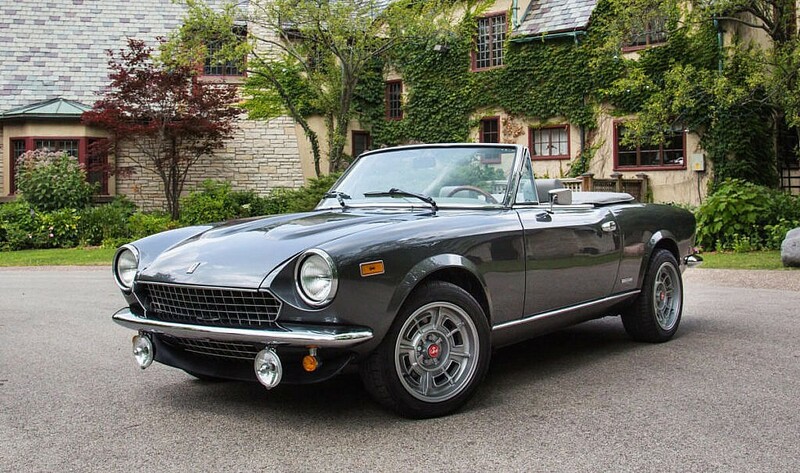 This entry was posted in Italian Classics and tagged 124, 2000, classic, fiat, italian, spider.